It’s finally getting cold enough in Southern California for warm baked desserts. Fruit crisps, crumbles and cobblers are easy ways to end a winter’s meal. 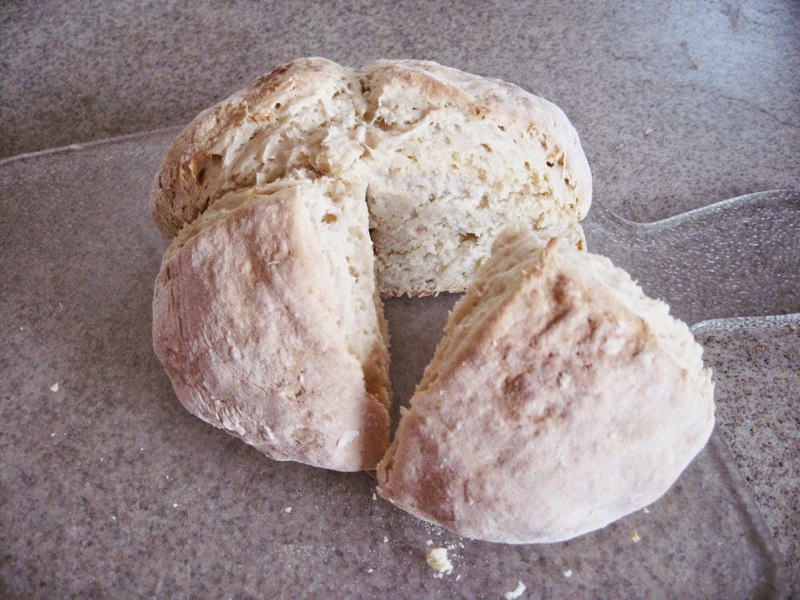 They can be made with fresh, frozen or canned fruits or with those dried last summer and fall. Our recipes call for dried apples and elderberries because that’s what we dried last summer. But you can use any dried fruits you have on hand. 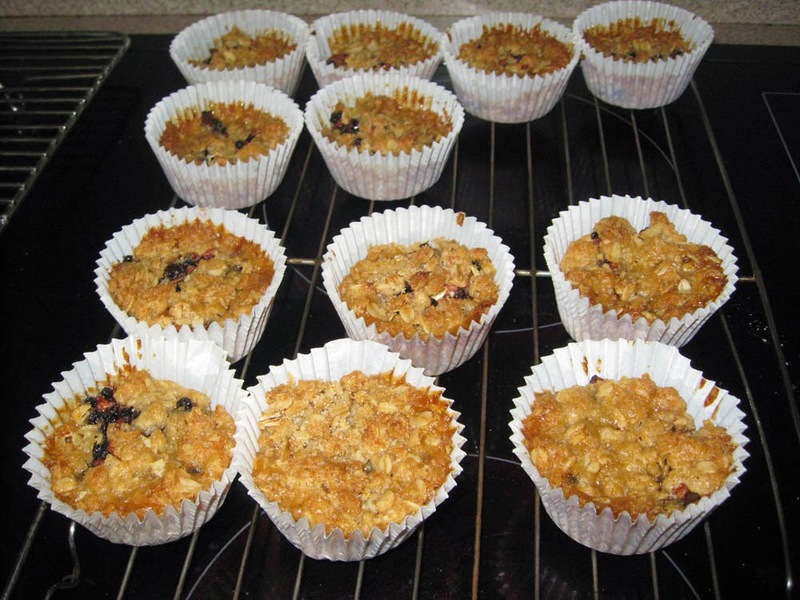 Most traditional crisps and crumbles have fruit on the bottom and a crisp, crumbly topping (recipe 1, below); a few recipes use part of the topping as a bottom layer. Traditional cobblers have fruit on the bottom and a shortcake-like topping. All combine the flavors of baked fruits (like a pie) but are simpler to prepare. Crisps, crumbles and cobblers are simple to serve at home – still warm and fragrant from the oven. They are less easy to manage for a potluck supper or other event away from home. We know this from experience! We feature California Gourmet foods at events held several times a year in the garden. Out of necessity, we developed a variation of the traditional crisp/cobbler recipe (recipe 2) which is more portable. We call them Dried Fruit Crisp Bites. 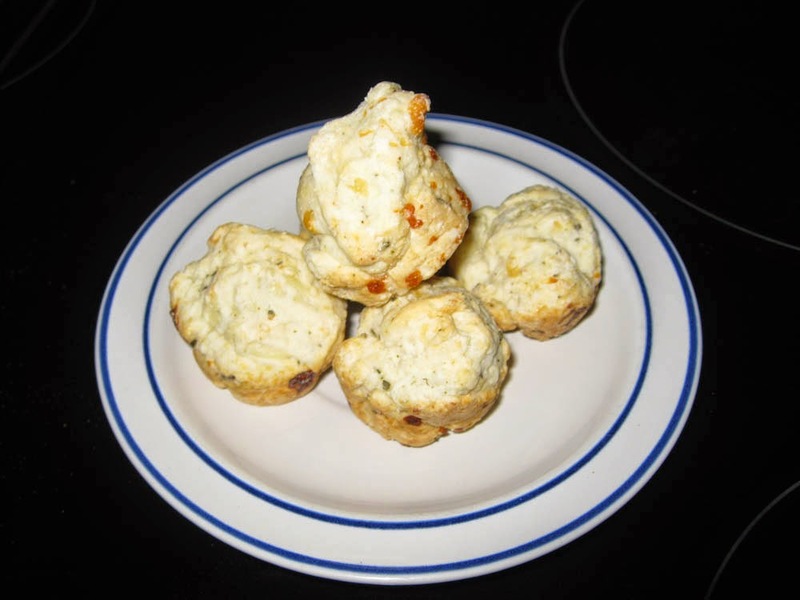 The bites are made in muffin tins (regular or mini-muffin size) and can be eaten warm or cold. They combine the crisp topping of a crisp, with a shortcake crust that’s more like a cobbler. If you only need a few Crisp Bites, you can easily halve the recipe. 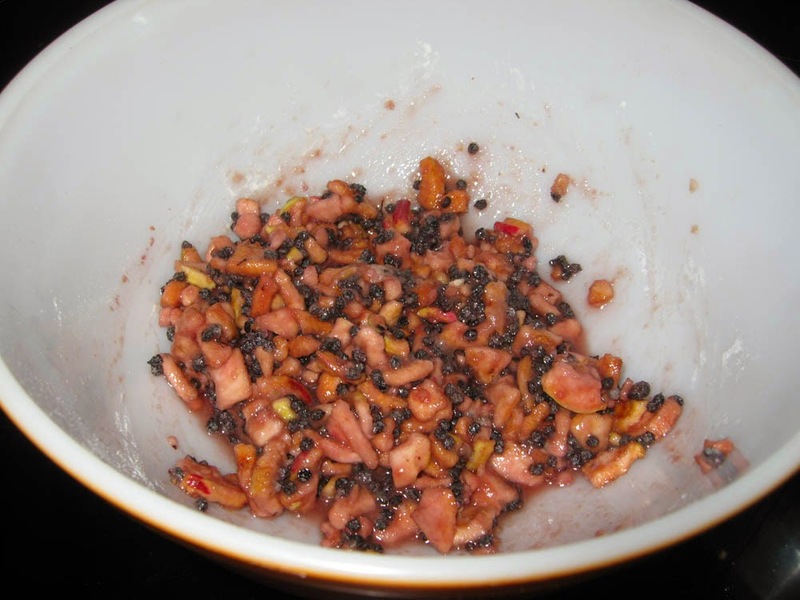 Place apple pieces, elderberries and orange juice in a medium bowl (a flat-bottom bowl is best). Add water to just cover the fruits (you’ll need to pour off excess if you use too much). Cover and let sit for at least one hour to let the fruits re-hydrate. Press fruits down into the liquid half-way through to be sure each piece becomes hydrated. After an hour most of the water should be taken up; if not, pour off the excess or filling will be too runny. Add sugar and flour to fruits and stir to mix. Let mixture sit while preparing topping. Our filling is a bit on the tart side; taste and add more sugar if desired. In a medium bowl mix together all but the butter/margarine. Cut in the butter/margarine with a fork or pastry blender until mixture resembles small peas. 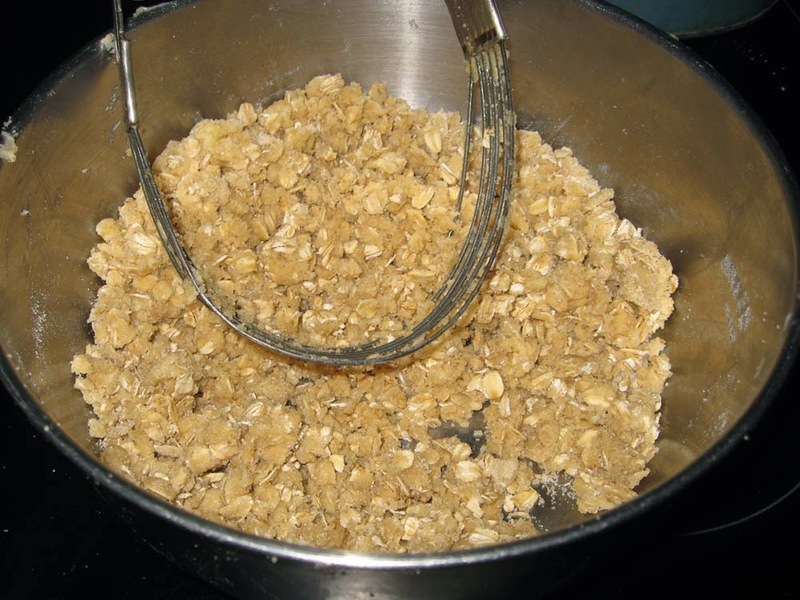 The topping mixture should be well blended (homogeneous) and crumbly. Follow the shortcake recipe for your all purpose baking mix. 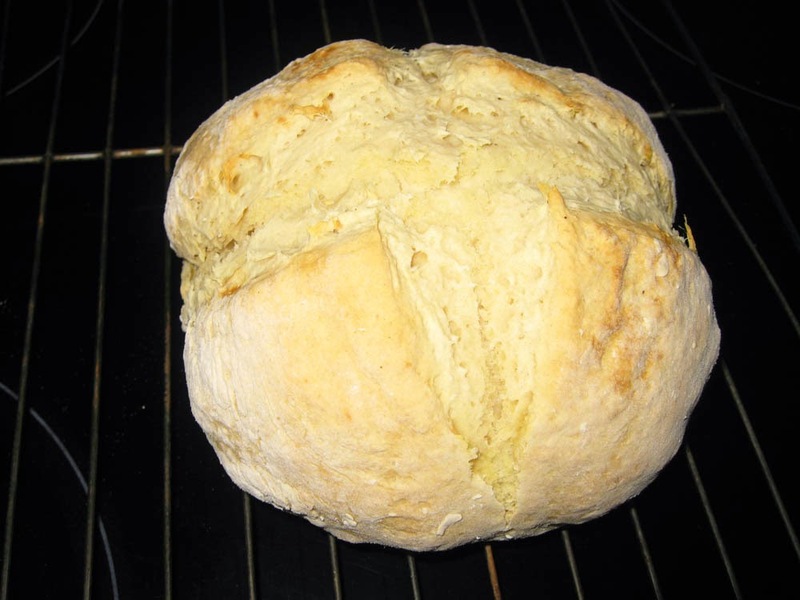 Ours uses 2 ½ cups baking mix with 3 Tbsp. granulated sugar, an egg and a little melted butter - but follow the instructions for your own brand. Prepare the muffin tins (regular or mini-size). 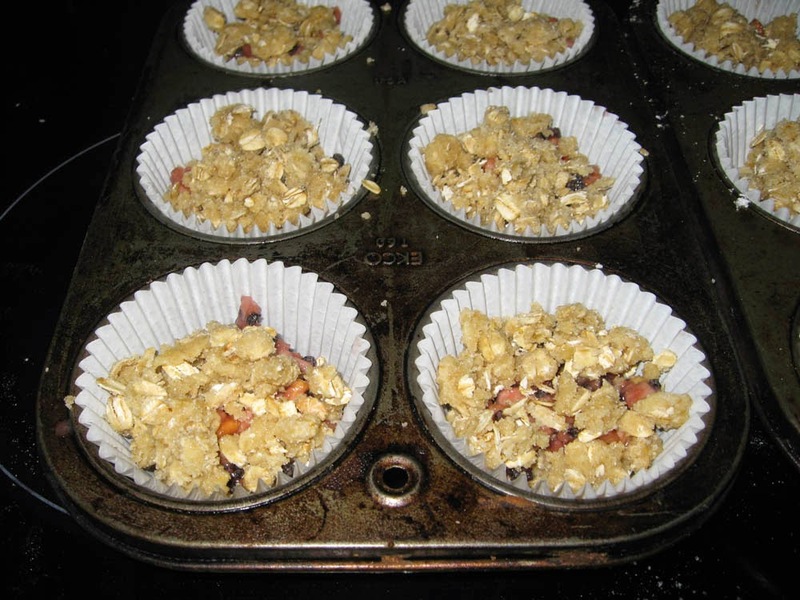 Non-stick muffin tins need no preparation; others should be lightly greased or sprayed with pan spray (if using cupcake liners, spray them with pan spray). 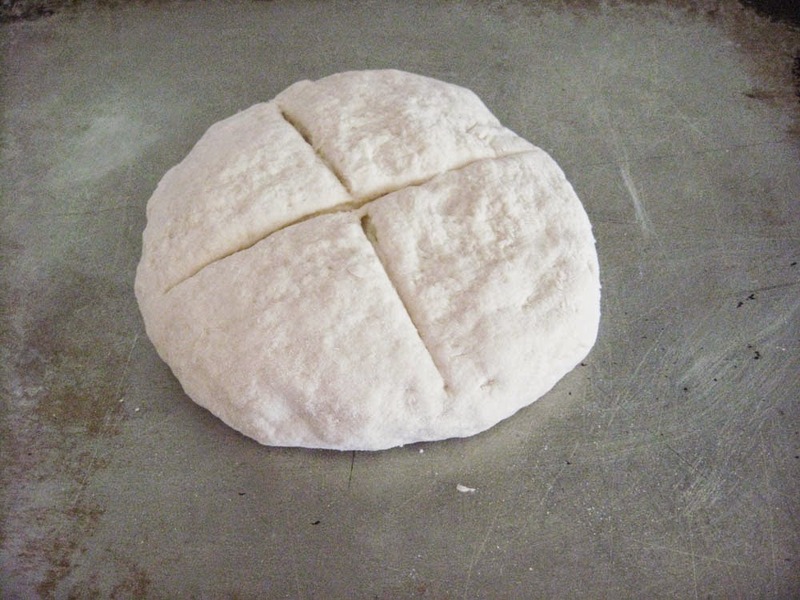 Roll out the crust on a floured cutting board or pastry cloth to about 1/8 inch thickness (pretty thin). Using a circular cookie cutter that is just a little larger than the bottom of the muffin cups, cut out shortcake rounds. You can also use a drinking class, jar lid or other round that’s the correct size. 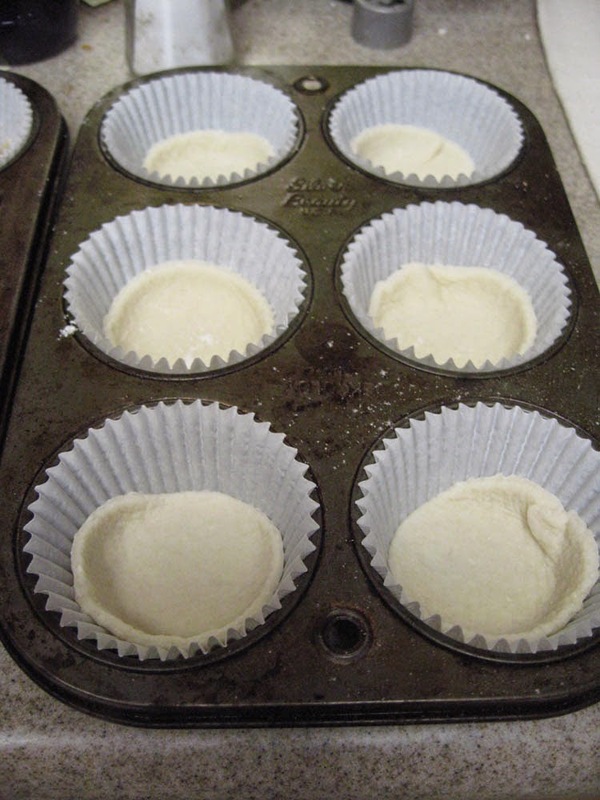 Place the shortcake rounds in the bottom of the muffin tins; gently press the dough into the bottom of each cup. Spoon filling over each shortcake round, dividing it evenly between the cups. Crumble the topping evenly over the filling in each cup. Bake at 350°F until topping is golden brown and filling is bubbly, about 30-40 minutes for regular size, 20-30 minutes for mini-muffin size. Remove from oven. 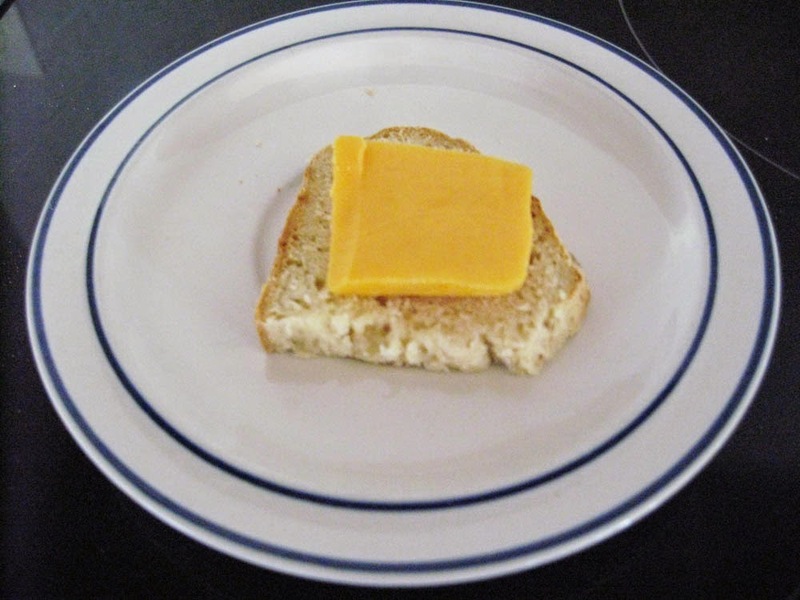 Serve warm or cold (can be re-heated in microwave). Makes 18-24 regular or 48 mini bites. 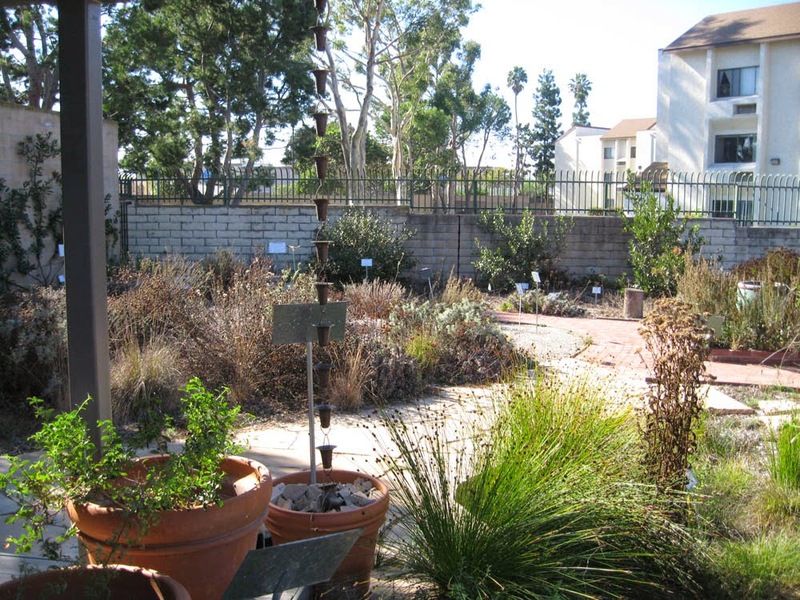 December is a quiet time in many Southern California gardens. This is just as well, given the flurry of other activities this time of year. Plants are only beginning to respond to winter rains and the glory of fall is but a distant memory; it’s truly a quiet time. However some plants do bloom in the cooler months from December through February. For example, the native Lemonadeberry brightens a cloudy day with its masses of cheery pink flowers. Lemonadeberry (Rhus integrifolia) is a member of the Anacardiaceae, the Sumac or Cashew family. Other S. California natives in this family are the Poison oak (Toxicodendron diversilobum), the Laurel sumac (Malosma laurina) and the closely related Sugar bush (Rhus ovata) and Sourberry/Basket bush (Rhus trilobata). The family includes a number of well-known members including the Cashew, Mango and Smoke Tree. The non-native Brazilian and Peruvian Pepper trees, which have so naturalized that many think them S. California natives, are also members of this family. Trees and shrubs in the Anacardiaceae produce a milky sap which is poisonous – sometimes dangerously so. 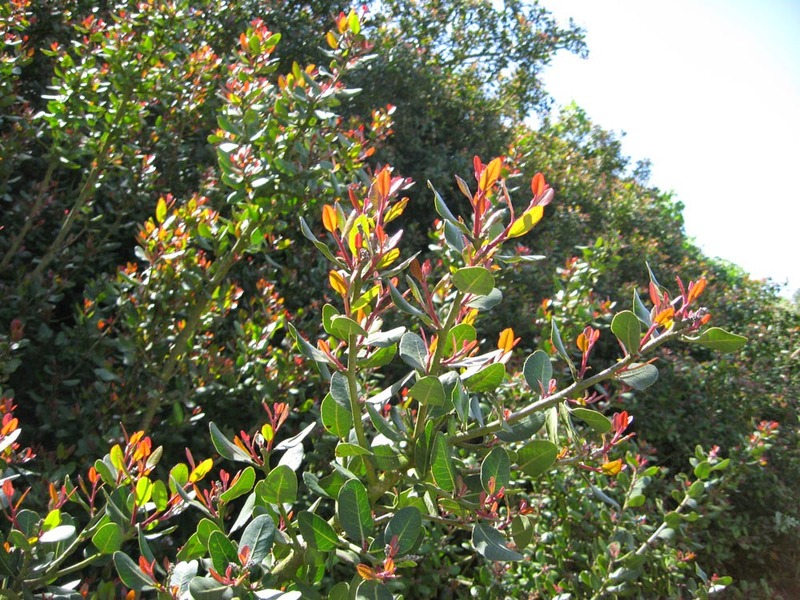 Fortunately, shrubs in the genus Rhus, the true Sumacs, are more of an irritant than a danger to most people. This makes them good candidates for the home garden, where they can replace truly toxic non-native shrubs like the Oleander. The red-fruited true Sumacs (Rhus species) are now separated from their white-fruited cousins in the genus Toxicodendron (poison oak; poison ivy; poison sumac). Rhus species do not produce urushiol, the chemical responsible for the severe allergic reactions caused by poison oak and poison ivy. While gardeners are advised to wear gloves and long sleeves when handling Lemonadeberry, the itchy rash associated with sap exposure is usually mild and short-lived. Rhus fruits are used as spice or flavoring agent in both the Middle East and North America, where they grow native. Lemonadeberry is a true Southern California shrub, growing from south of Santa Barbara to Baja California, Mexico. 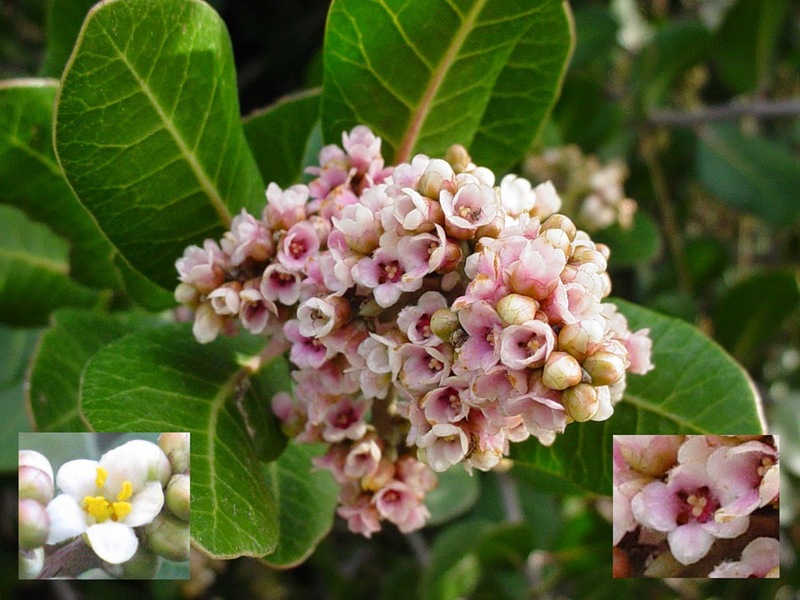 While primarily a coastal species, it ranges east to Riverside County, appearing in the Coastal Strand, Coastal Sage Scrub and Chaparral plant communities. 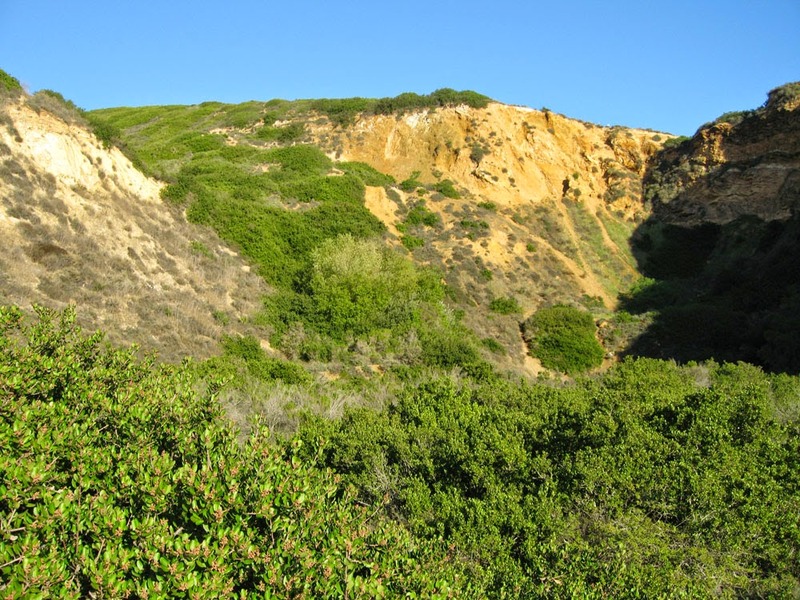 Typically it grows in drier canyons, either on north-facing slopes or slopes/bluffs facing the ocean. A lowland species, Lemonadeberry is rarely found above about 2500 ft. (900 m.) elevation, its distribution likely limited by freezing temperatures. Lemonadeberry is a large evergreen shrub, reaching a maximal height of 6-10 ft. in protected areas and 2-3 ft. along the immediate coast. It is usually somewhat wider than tall, spreading to as much as 10-12 ft. in diameter in favored spots. Interestingly, it can be kept to a much smaller size with regular pruning (more below). 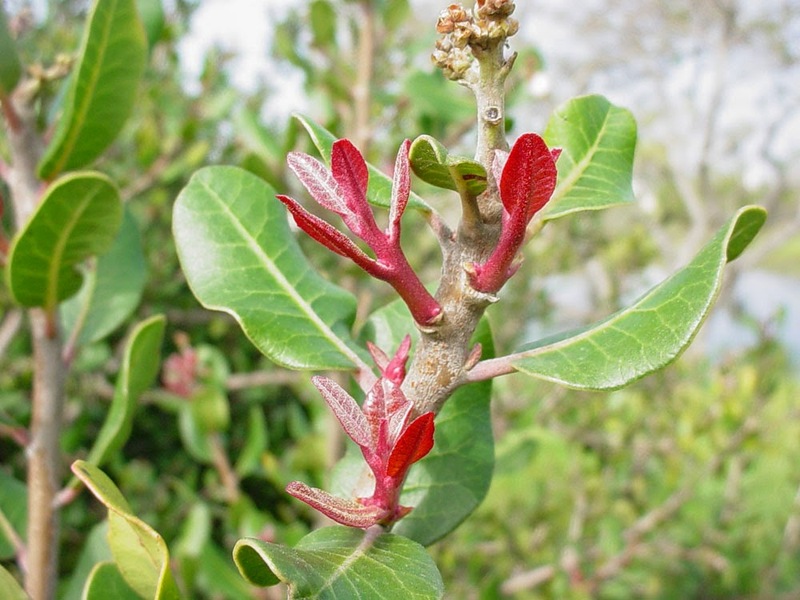 The leaves of Rhus integrifolia are simple, usually light- to gray-green (although they may be darker) and rather thick, fleshy and waxy. The leaves may have pinkish margins or midribs (the main vein of the leaf) and new leaves/branches are a shockingly bright pink or orange. The bright color is due to the production of Anthocyanins – chemicals that provide a ‘natural sunscreen’ and herbivory deterrent to protect the delicate new growth. The bright foliage adds a spot of color this time of year. The older bark is gray and not particularly showy. 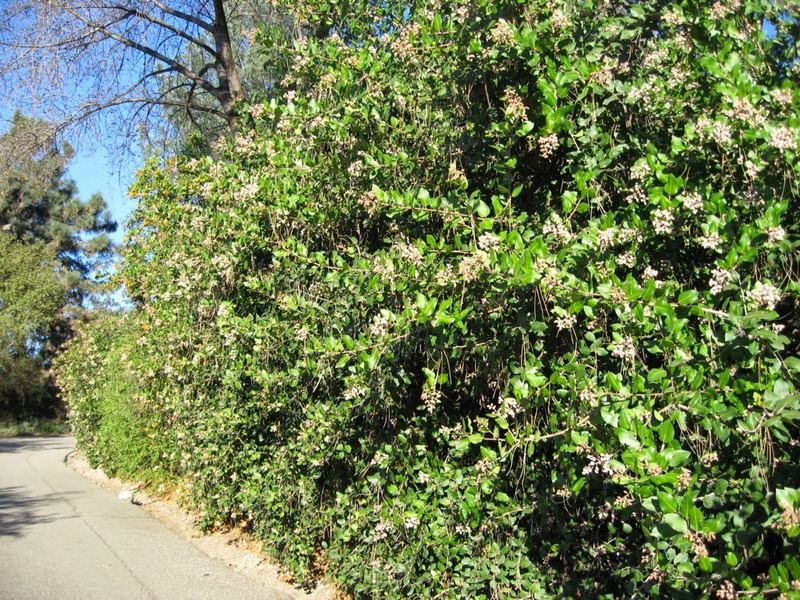 Lemonadeberry shrubs are dense. Their thick trunks are many-branched, starting quite low to the ground. The new wood is soft – almost rubbery – but mature wood is dense and can be used for fuel. The wood is pretty and distinctive in cross section, but we’re not aware its use in craft or furniture-making. In the wilds, young stems and branch tips are regularly nibbled by browsing animals, increasing the foliage density. 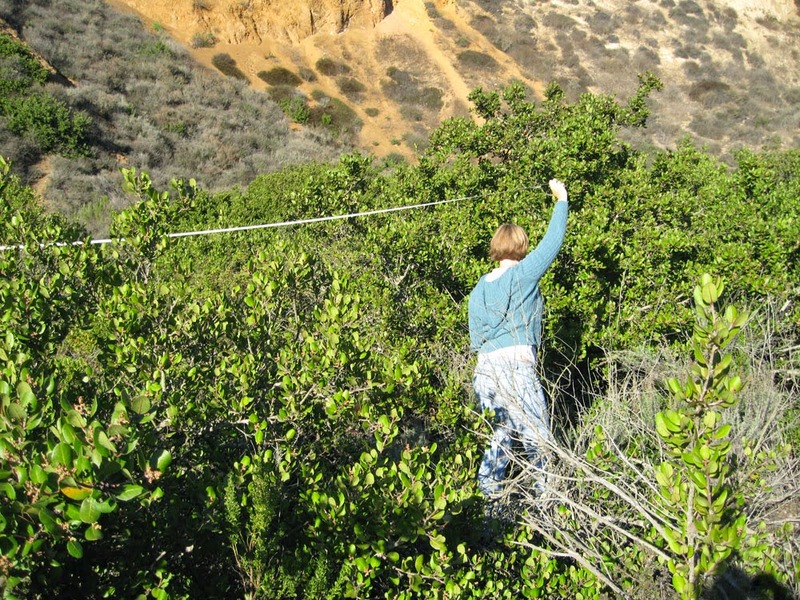 Mature plants in the wild are virtually impenetrable. 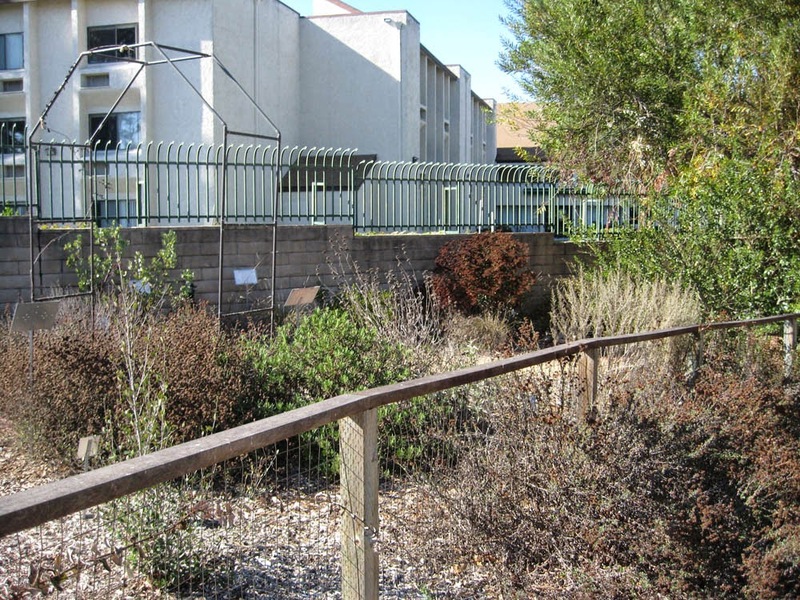 Flowering can occur at any time from December to February or March in S. California. The timing reflects yearly climatic variability, primarily in temperature and precipitation (plants flower early in warm, dry years). While small (1/4 inch), the flowers are showy, even in bud (see below). Lemonadeberry flowers are simple affairs with five pink or sometimes white petals. The flowers are clustered at the ends of branches, with literally thousands of flowers on a mature shrub. The flowers, indeed the shrub itself, remind some of the non-native Indian Hawthorn (Rhaphiolepis indica), a common garden shrub in S. California. In fact, Lemonadeberry is a good native substitute for Indian Hawthorn. Close-up of Lemonadeberry flowers. Left inset is male flower. The flowers have a lightly sweet fragrance and are an importance source of nectar and pollen for winter-flying bees, their principal pollinators. Individual plants may contain only male or only female flowers (dioecious), or a combination of bisexual (complete) and unisexual flowers (see above). This arrangement likely allows the species to maximize fertility in different environments. The male and bisexual flowers have conspicuous anthers with yellow pollen (above). Plants are not self-fertile, so you’ll need at least two for good fruit production. Fruits of Lemonadeberry (Rhus integrifolia). Inset shows fully ripe fruits. 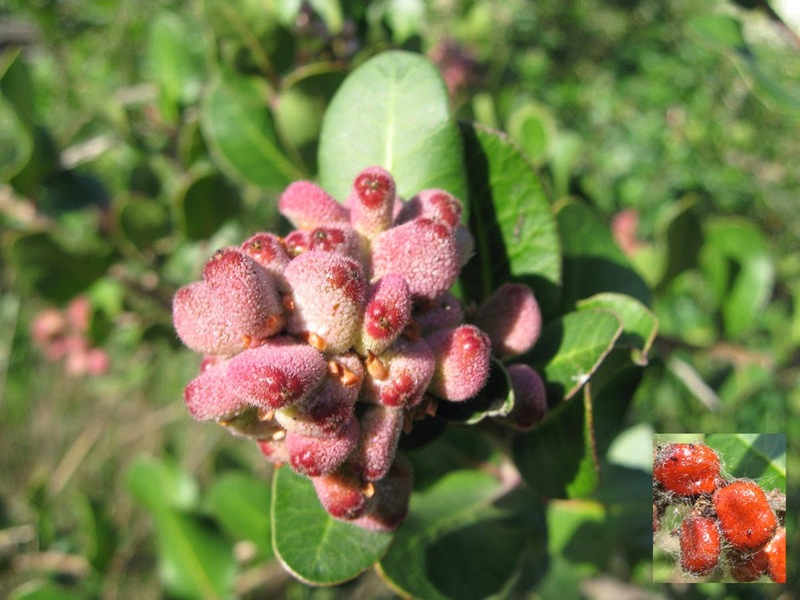 The fruits of Rhus integrifolia are drupes – small, flattened, fleshy fruits with a large seed or two. The fruits start out a pink-white color and ripen to red-orange in late spring or summer. Fruits are covered by a crystalline coating (see above) which has a distinctive tart flavor. While native Californians sometimes eat the fruits fresh, many of us prefer to soak the pink fruits in warm or cool water to extract the lemony flavor. The ‘flavored water’ that results (after the fruits are strained out) can be sweetened to produce a lemonade-like beverage. We assume that Lemonadeberry-flavored water can also be used to make a distinctive jelly, dessert gelatin or syrup. We’ll try these potential uses and report back; if all goes well, we’ll even feature the recipes in a future blog posting! (http://mother-natures-backyard.blogspot.com/2015/05/california-gourmet-cooking-with.html). In the Middle East, red Rhus fruits are dried and ground into a spice that’s used on salads, meats or kebabs for a spicy lemon flavor. We’ll also try this idea out when our fruits are ready. In our experience, the fruits don’t create any problems or mess. If not used by humans, they will be gobbled up by Northern Mockingbirds, Jays, Flickers, Crows and other fruit-eating birds. We rarely see fruits on the ground in our gardens. 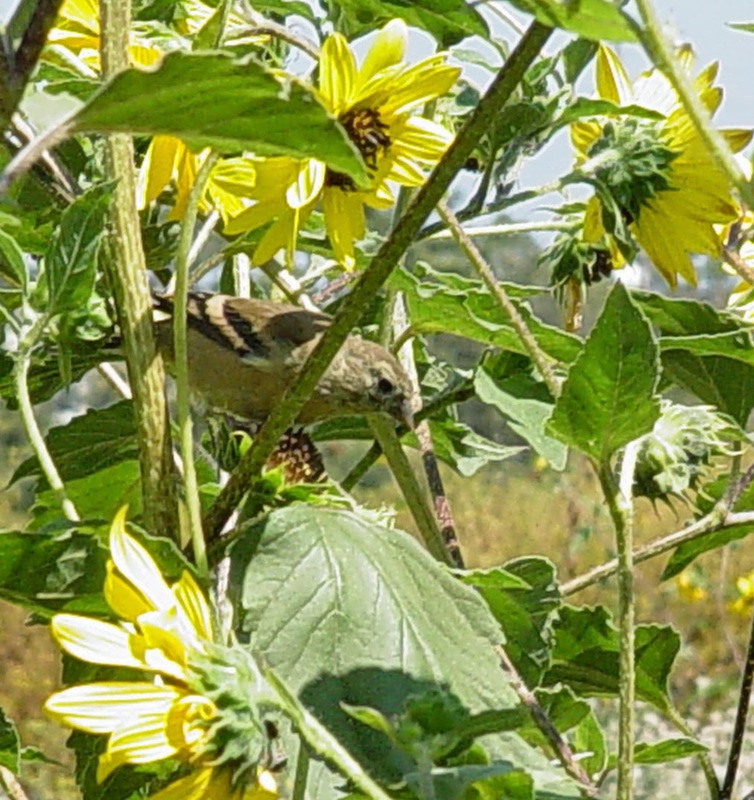 However, we do see lots of birds eating, perching – even nesting – in our mature Lemonadeberry shrubs. Lemonadeberry is very easy to grow in our area. We’ve had good luck with it in compacted clay soils and sandy soils. Needing little in the way of added soil nutrients or amendments, it can take alkali soils (pH 7.8 to at least 8.0 and likely higher). It does fine in full sun, though it prefers a little afternoon shade in very hot inland gardens. Its foliage is susceptible to frost damage; however plants will usually re-sprout unless low temperatures are severe or prolonged. Lemonadeberry (Rhus integrifolia) in a garden. Garden of Dreams, CSU Dominguez Hills. 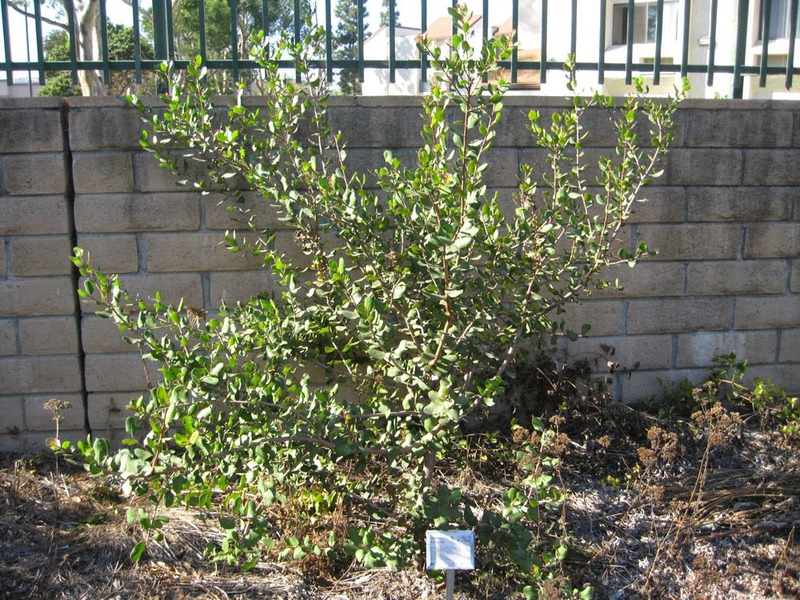 Lemonadeberry is quite drought tolerant once established (2-3 years). During the past two dry years we’ve summer-watered some plants every month, while others have received no supplemental water. Both groups have done just fine. In Mother Nature’s Backyard, our Lemonadeberry was mulched with chipped wood at planting time. We let mature plants self-mulch, supplemented with chopped up trimmings from the plants. Lemonadeberry is a usefully substitute for non-native evergreen shrubs commonly used in local gardens. Its size and density make it a useful background plant. It can also be trimmed for a water-wise foundation plant. One of our favorite uses is as a hedge, screen or hedgerow shrub. 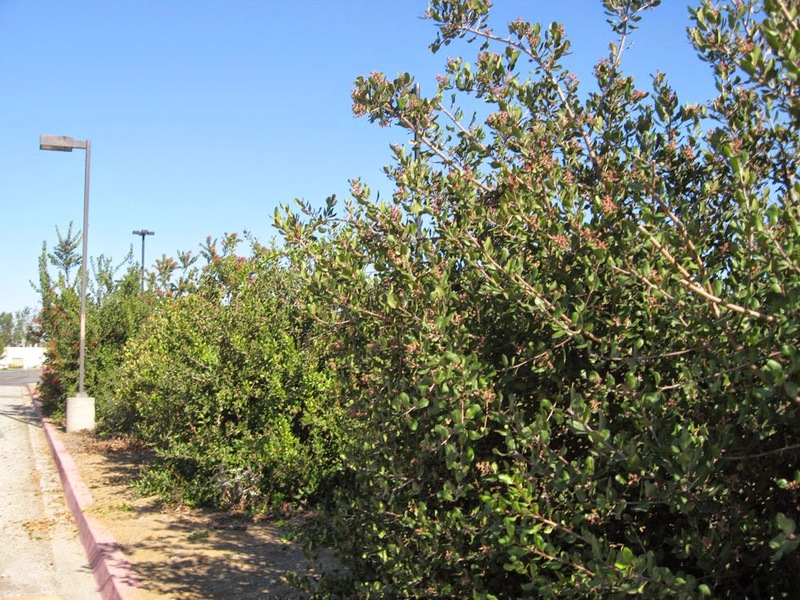 The dense foliage makes it an ideal ‘backbone plant’ for a mixed hedgerow; we like it combined with Toyon, Catalina and Hollyleaf cherries, and local Ceanothus species. It is a great choice for slopes, where its deep fibrous roots bind the soil, limiting erosion. 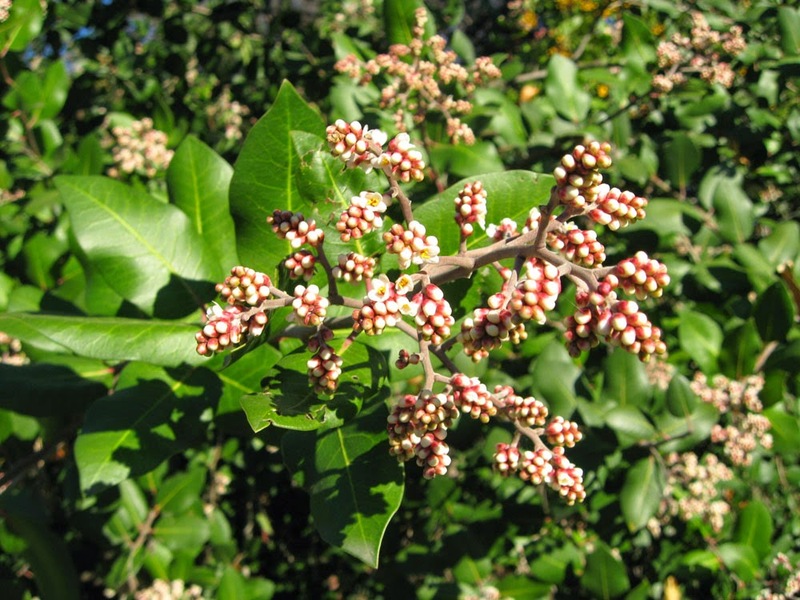 Lemonadeberry (Rhus integrifolia) is main shrub. 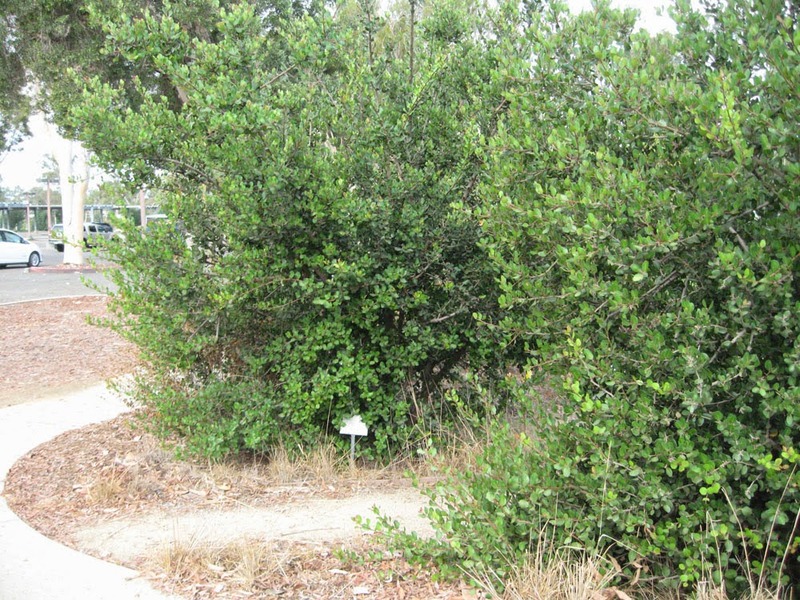 If growing Rhus integrifolia as a hedge or large shrub, realize that some plants are slow to get started and many experience a gangly adolescent phase. 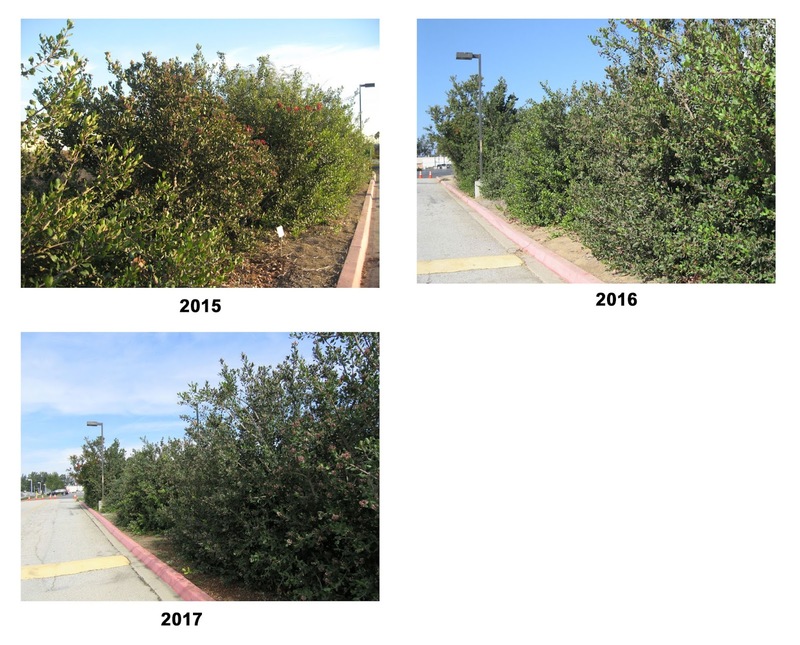 As seen above, shrubs planted as one-gallon shoots grow to substantial size in six years, even in drought conditions. But plants take time to grow and develop their mature shape. We suggest letting Lemonadeberry grow naturally (without much pruning) for the first 2-3 years. Once a plant begins to develop long side branches then it’s time to begin pruning. Even if you want a more natural shape, you’ll want to do some yearly pruning, at least in the beginning. In the wilds, young plants are regularly ‘pruned’ by rabbits, deer and other animals. That’s why wild plants often have a nice rounded shape! In your garden, you’ll have to ‘be the deer’, cutting back unruly branches in late spring/summer. In fact, you can prune anytime the plant is actively growing. But you’ll sacrifice some flowers and fruits if you prune in fall. How much pruning is needed? That’s entirely up to you. Some gardeners prefer a natural look – they prune only for safety or plant health. At the other extreme, we’ve seen plants formally hedged to four feet tall. A formal hedge will need regular (even monthly) hedge pruning to keep it neat and tidy. The formally hedged plant will have fewer flowers and fruits; but no one will guess it’s a native plant and it will be very water-efficient! 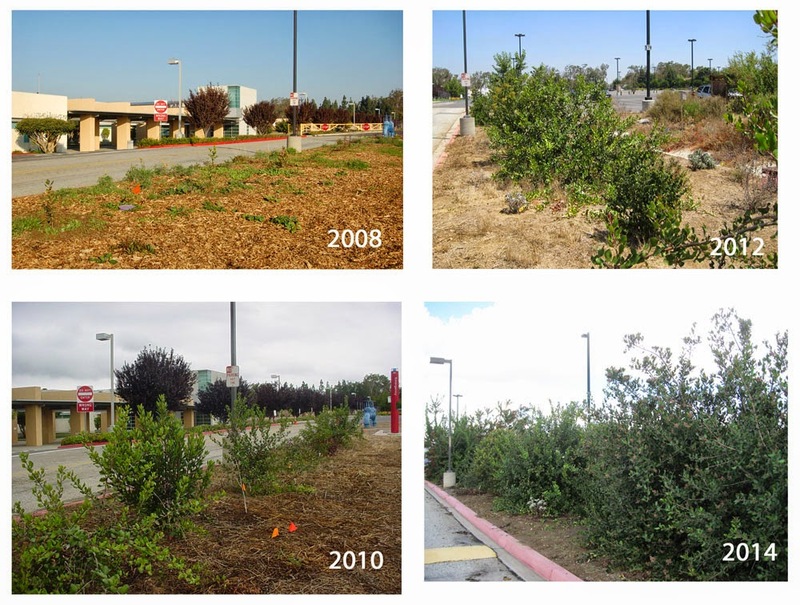 Mixed hedgerow with Lemonadeberry, Toyon and native cherries. 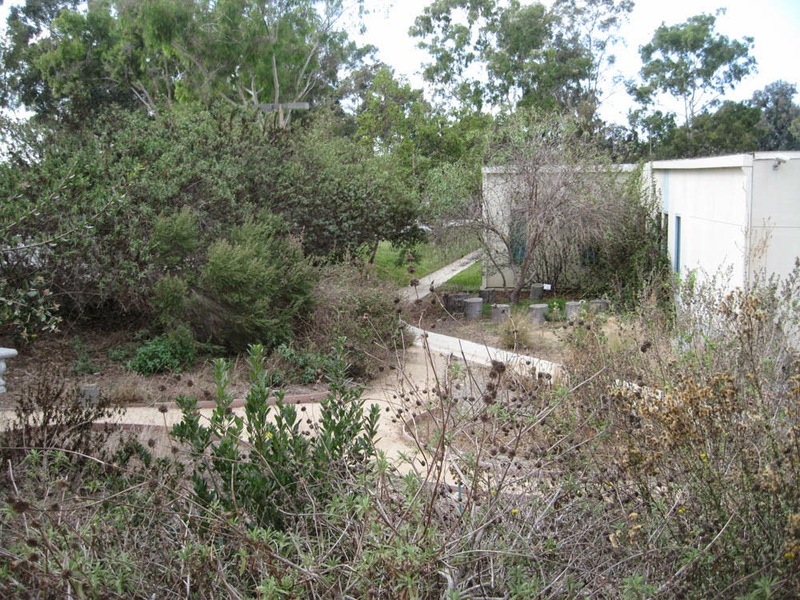 Heritage Creek Preserve, CSU Dominguez Hills. You can actually have the best of both worlds. If a formally clipped hedge is needed (to face the neighbors), prune one side formally and the other (facing your garden) semi-formally. This will often please all parties. You needn’t be too worried about how to prune a Lemonadeberry – it’s a very forgiving plant. We hope you’ll want to consider Lemonadeberry for your garden. In addition to being pretty and evergreen, its adaptive ways and useful attributes make it a garden winner. We already pointed out its culinary and habitat values. In addition, Rhus integrifolia leaves and smaller branches (e.g., prunings) can be used to dye natural cloth or yarn a nice tan color; they can also be used as a mordant to help bind other natural dyes. Native Californians have several additional uses for Lemonadeberry. Tea from the leaves is used in treating coughs and a drink made from ground seeds for fever. The ground seed is also used with the fruits for tea; tea from the bark was used after childbirth. The wood has been used as fuel. And the seeds produce an oil which can be extracted and used for making candles.